It’s March and that can only mean one thing for baseball fans – a scouting report on the eye-popping cars that players take to spring training. Royals shortstop Alcides Escobar has a golden truck. Tigers pitcher Alfredo Simon drives a chrome car. 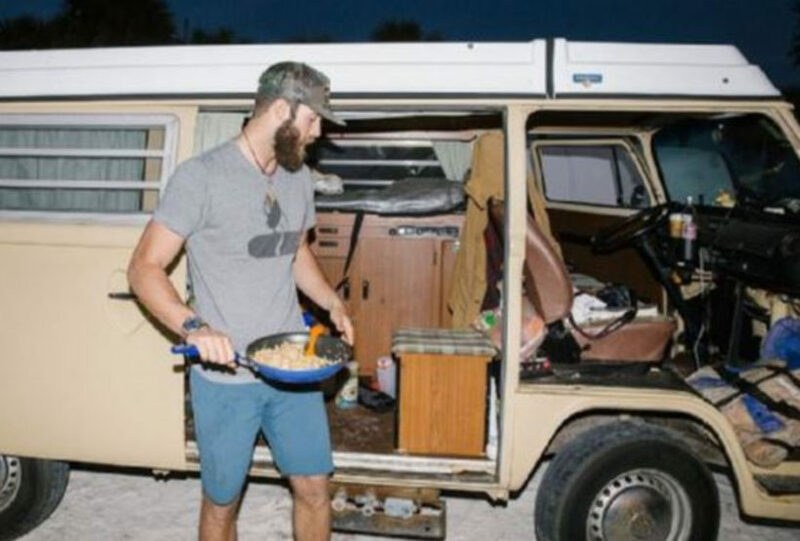 And Blue Jays pitcher Daniel Norris opts for a 1978 Volkswagon van … that he lives in. Yes, the left-hander with a $2 million signing bonus lives in a camper behind a Wal-Mart in Florida. “I’ve gotten used to people staring,” Norris told ESPN’s Eli Saslow. The Johnson City, Tennessee native told ESPN that he bought the van for $10,000 as a way to escape the pressure cooker of Major League Baseball. The 21-year-old Norris made his major-league debut last September and is hoping to earn a spot in the Jays rotation this spring. Last season, he led all of the minor leagues in strikeouts per nine innings. And while Norris may be making headlines for his unconventional lifestyle, he told Baseball America that his focus remains on his career. So far, so good. In his first start of the spring on Thursday, Norris pitched 1 2/3 scoreless innings and struck out two batters. Then he went back to his van for a good night’s sleep. 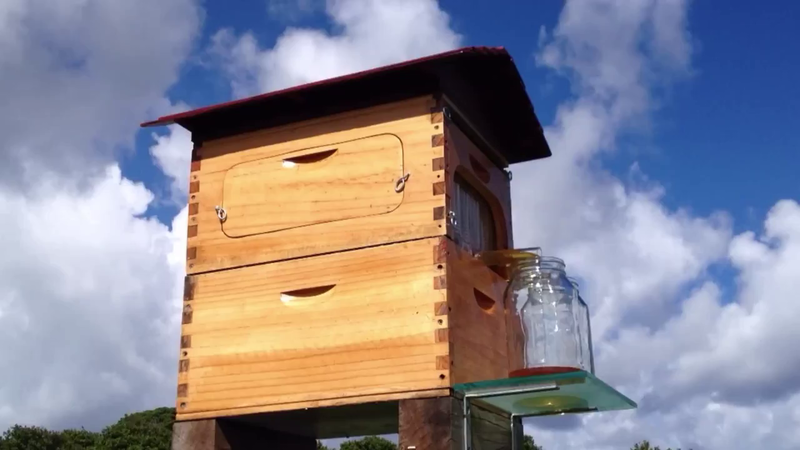 Two beekeepers in Australia have invented what is believed to be the world’s first hive that allows fresh honey to be collected without having to disturb the bees and with no threat of stings. Credited with “revolutionising” beekeeping, Cedar Anderson and his father Stuart borrowed money from friends and family and spent a decade creating a contraption which they say is “easier on the beekeeper and on the bees”. The pair began selling their invention on a crowdsourcing site and raised $1.7 million in the first 24 hours. 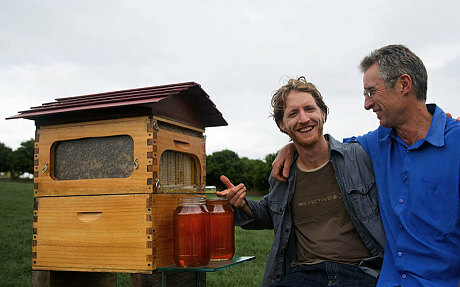 The father and son team – both amateur inventors – come from a long line of backyard beekeepers near the popular surfing and tourist destination of Byron Bay in northern New South Wales. Their contraption, called the Flow Hive, consists of plastic artificial honeycomb cells in which the bees leave honey before sealing the cells with wax. A lever then splits the wax and turns the cells to create zigzagging channels for the honey to flow out via a tap into a trough below. Mr Anderson said his grandfather would “rob” honey from hives in trees on neighbouring properties and his father began keeping bees legally in the garden. He and his son have long kept hives in their backyard – handing out honey to friends – and began searching for a better way to extract the honey. Cedar Anderson, 34, a musician who describes himself as a “backyard engineer”, said “it has gone totally nuts”. “About a decade ago, I started thinking there must be a better way than ripping the hive apart and getting stung and sweating out in your protective gear in the sun,” he told The Telegraph. The pair initially searched through global patents and discovered that no device existed. The closest was a device which someone applied for in the 1920s but it was never invented; in any case, according to Stuart Anderson, the plans were flawed and would not have worked. “We looked up patents when we realised we were onto something,” he said. “There was something from the 1920s but they put it in and went no further. Cedar Anderson said the main stumbling block in developing the device had been finding a way to remove the honey from the cells – until he had a “eureka moment”. “For ages I was trying to get honey out of the hexagon cells but the problem was with the viscosity and surface tension of honey which means it stays in the shell if you tip it upside down,” he said. This led to the inclusion of a lever which splits the full cells and creates channels down which the honey flows. The next challenge for the duo will be to fulfil the incoming orders – more than 4,000 in the first 12 hours. They hope to begin sending out the first hives in June but will try to find larger overseas manufacturers, possibly in the United States. On “Wheel of Fortune” Tuesday night, one contestant solved a puzzle with just one letter. Maybe in this guy’s universe, the only phrase that has “T” in it is “Championship Match”? 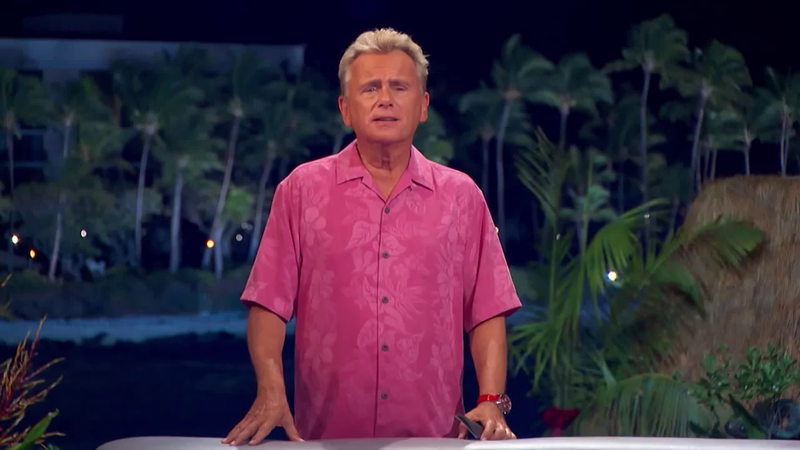 Pat Sajak was, along with the rest of us, impressed.